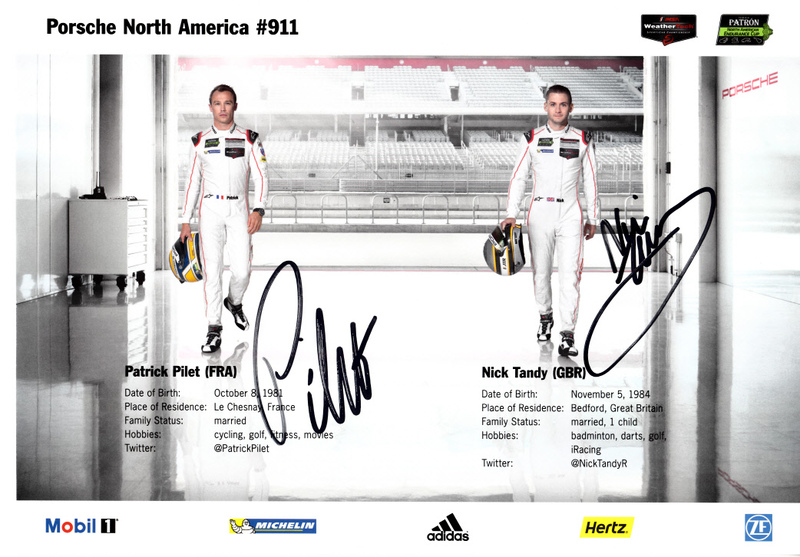 Roughly 7 by 10 inch Porsche Racing photo card autographed in black marker by IMSA drivers Patrick Pilet and Nick Tandy. With certificate of authenticity from AutographsForSale.com. ONLY ONE AVAILABLE FOR SALE.